Restaurant Logos : A well designed logo allows your business to create an impact on customers. Logos are necessary for brand identity and it helps to establish your business. Most logos speak for themselves; the images are similar to the products for example football companies will have football as their logo designs. 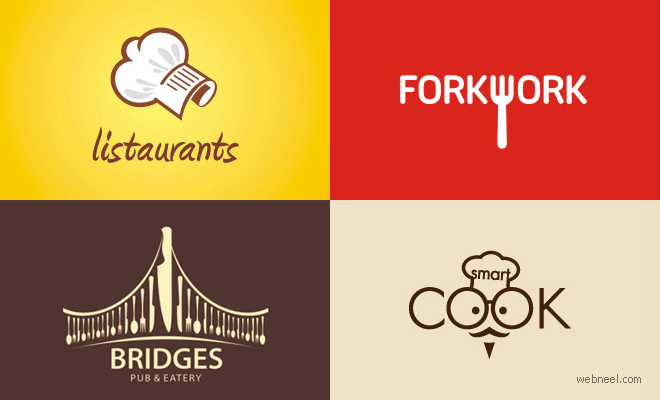 Similarly we have collected some amazing Restaurant Logos for your inspiration. Our favorite logo designs are dine out, Bridges, Forkwork, The Dining room, Plated and Blues Feast.